Did you know that some days, Facebook gets more traffic than Google! Depending on the size of your company, some or a lot of the 300,000,000 million users are your current or potential customers. Why don't you become social with them. This is a very dynamic area, which is changing very quickly and it is vital that you understand how it works and how it can work for you. 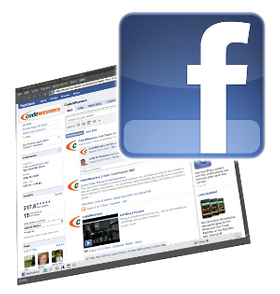 Facebook Marketing presents different types of opportunities for your business. For example there are currently over 1,100,000 regular adult users of Facebook in Ireland. Over 500,000 of these are over the age of 30. Many of these are your customers or potential customers. Write 1 to 5 facebook posts a day, 7 days a week.